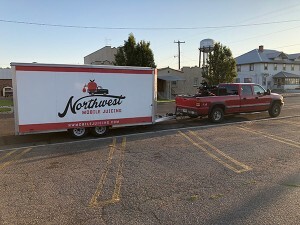 Northwest Mobile Juicing offers custom commercial juice processing throughout Washington, Oregon, Idaho, and Montana. The great part is that we come to you! Northwest Mobile Juicing is a family owned custom juice production business. We bring our processing ability and expertise to your site. 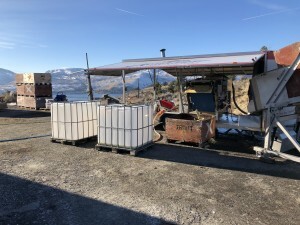 Now in our 5th season of operation we are capable of processing upwards of 4000 gals of juice per day and operate as a contract service in support of your business. We have supported those with orchards, packing houses, fruit stands, cider houses, breweries, wineries and distilleries. We provide the service of juicing, pasteurizing, and packaging your local fruit for retail sale. This is all possible through our professionally engineered, health department inspected mobile facility. We believe that through supporting our local farms and businesses our communities can be sustainable. 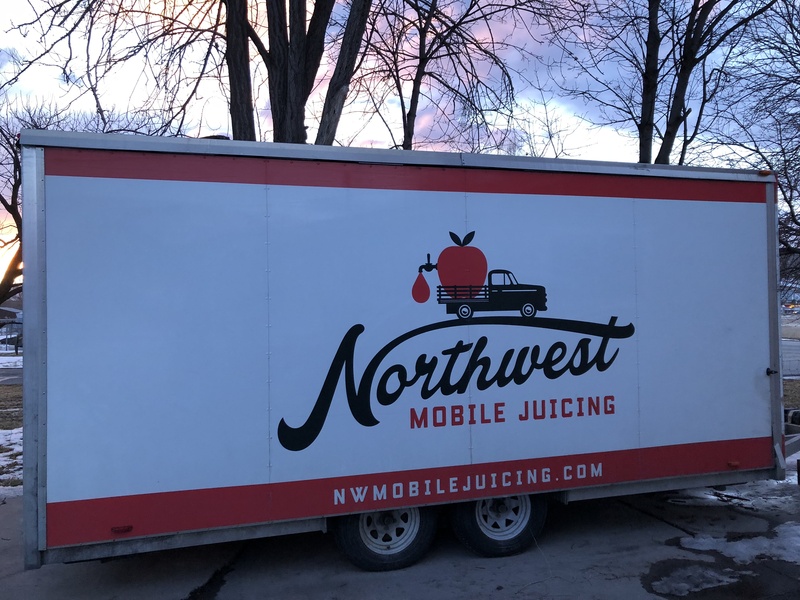 Northwest Mobile Juicing offers full service pressing, pasteurizing, and packaging. Provided all together as a finished product or each as a standalone service. 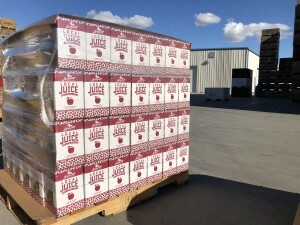 Northwest Mobile Juicing is offering an alternative to traditional juice processing. We come to you and press right on the farm, keeping your juice as fresh as possible. We will help you optimize more of the fruits from your field. Instead of being trucked off to the mass processing factories these fruits can be juiced locally by Northwest Mobile Juicing. Thus, the services we offer can generate a greater return for the growers and business owners in our communities. 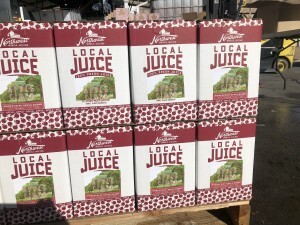 If you are a hobby orchardist watch for our community juice days in your town where you can meet us at a central location to juice your produce and then take it home to enjoy for the whole year! We press your fruit into juice. The hard produce such as apples and pears will run through our grinder and then straight through the continuous belt press. Soft fruit like raspberries, strawberries, and blueberries can be sent directly into the belt presses but higher yields can be accomplished if they are frozen beforehand. Pit containing fruit like cherries, peaches, plums, apricots will first be sent through the de-stoning unit before being pressed. If you’re just looking for de-stoning and de-stemming service we can provide that for processed foods like jams and preserves. Next the juice is passed through our state of the art flash pasteurization system, also referred to as “High Temperature Short Time”. This process heats your juice rapidly to the set point ensuring all potential bacteria and spoilage organisms are eliminated. This rapid heating satisfies federal and state food safety regulations enabling the product to be sold at retail establishments. The resulting unfiltered juice tastes freshly squeezed! Finally we package the juice in an innovative bag-in-box system that ensures the product is shelf stable (no refrigeration needed) for 1 year. The special dispensing tap lets juice out but no oxygen in, enabling the juice to be consumed over a 2 month period with or without refrigeration upon opening. Standard packaging are 3 and 5 liter bag-in-boxes. Bulk juicing provided for the alcohol beverage industries. Inquire with us for different sizing, custom labeling, and print designs. We also can fill a variety of bottle sizes including gallon jugs, 1/2 gallon jugs, and the full range of single serving sizes. We arrive at your site with our state of the art 8’ x 22’ mobile processing trailer complete with its own power source. We hook up to a certified potable water source provide by you. Produce is transported from your storage to the trailer and the processing begins. In one hour our equipment is capable of processing 500 gallons of juice, the result of roughly 6000 lbs of produce. Once we fire up our operation we operate it throughout the day.We work hard to maximize the juice yield and your return on investment. Check out the video to get an idea of how our mobile unit operates. The pressing process leaves behind an almost completely dry mash which can be used as compost or animal feed. When the days processing is complete all equipment is thoroughly cleaned per strict requirements ensuring the factory continues to exceed health requirements. Finally we’re finished and leave you with your juice. Turn juicing day into an event! Connections for unique and heirloom bulk juice to the hard cider industry.